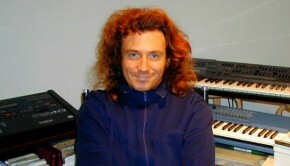 Kirill Pokrovsky passed away in 2015 after an extensive discography for the Divinity series. 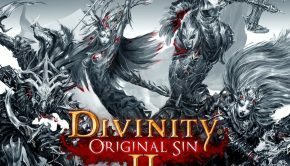 For Divinity: Original Sin II, released on PC last year to high praise, Borislav Slavov stepped up to the plate. 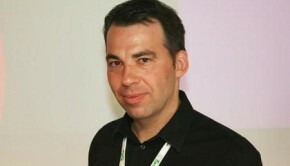 Slavov, the former in-house composer at Crytek known for his work on games like Knights of Honor and Crysis 2, composed an extensive 36-track soundtrack to the game, which saw a more widespread release this year on major storefronts (and was followed by a console release for the game itself). How does the soundtrack measure up? 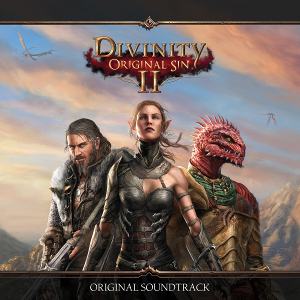 The tone of the new soundtrack is established very quickly in the opening track, “Divinity – Original Sin 2 (Main Theme)”. Slavov has written a new melody that permeates the game’s soundtrack – it’s a simple, easily recognized melody in compound meter that lends itself well to new iterations on the score. I was very glad to hear this melody – it’s immediately engaging and sets the score apart from Pokrovsky’s score to the first game, which also had a very dynamic opening. However, right out of the gate, Slavov demonstrates the fact that he was up to the challenge of creating a musical successor. The melody returns multiple times on the score – “Symphony of the Void” has it playing on low brass, with a harsh and dissonant string accompaniment. It’s lightly hinted at in “A Part of Their Story”, through collections of three or four notes in a more relaxed setting – the solemnity of the melody isn’t as present in this piece, which instead favors a few wind instruments and the occasional vocal line playing alongside an acoustic guitar. “Sins and Gods” is the most overt example of the theme; the soundtrack has a choir version and a strings version. I was happy to see that they’re not simply the same piece performed differently – they’ve actually been written separately to best accommodate each instrument type. This gives a beautiful choral arrangement of the main theme, as well as a string version – both with some excellent part-writing. The album also contains a few distinct character themes; in fact, the second track “Mead, Gold, and Blood (Ifan’s Theme)” uses a completely different melody for an upbeat, jig-like piece. As the piece progresses, it becomes more dramatic, as more instruments join in to harmonize, somewhat obscuring the melody at the end. However, the piece never loses its joyous quality, even as its intensity increases. “Sebille’s Theme” is much more subdued track with several layers of plucked guitar. I absolutely love the progression of this piece – about halfway through, it begins escalating, just like Ifan’s theme, with additional instruments added and a rising dynamic. Again like Ifan’s theme, however, “Sebille’s Theme” never loses the quality it opened with – this time, tranquility. “The Queen’s High Seas (Beast’s Theme)” is my personal favorite, which opens with a harpsichord playing something akin to a sea shanty. It’s an incredibly fun track – at one point, the melody is performed by someone whistling – and the theme picks up traction as it repeats. One of the strengths of Divinity: Original Sin II is despite the myriad melodies and styles used, Slavov never loses sight of the game’s setting. At no point do I feel as though the illusion of being immersed in a fantasy RPG setting has been broken. The score is saturated with plucked stringed instruments and various woodwinds to take the melody lines. While Slavov was able to use the Hungarian Studio Orchestra to record the soundtrack, his writing is restrained, and he does not let the orchestra get away from him. Even during the busier sections of character themes, I never feel as though I’m listening to an anachronistic orchestra so much as the natural development of a more rustic piece. There are a few exceptions – “Power of Innocence 2017 (Orchestral Version)” feels very much like a melody that has been given an orchestra. The piece comes from the first Divinity: Original Sin score, where Pokrovsky composed it using an unusual piano-and-percussion combination. The 2017 version saw Slavov take the same piece and orchestrate it (as well as slowing the tempo down). It sounds less otherworldly in this version, as though Slavov was more interested in paying homage to Pokrovksy than in pushing the original composition further. It’s a wonderful arrangement – how I might imagine a concert version of the original piece sounding. “The Battle for Divinity” is another piece that uses a more traditional orchestra – it sounds as though it was written with the full orchestra in mind. At just over five minutes in length, it’s the longest track on the album. Surprisingly (given its length and title), it isn’t an especially heavy piece – I don’t know if this is a final battle theme, but if it is, I imagine it’s a surprising one to come across in the game. It reminds me of a random encounter battle theme from The Elder Scrolls IV: Oblivion than “Symphony of the Void”, the darker iteration of Divinity: Original Sin II’s main theme from earlier on in the album. Most of the tracks, however, follow the lighter and more medieval instrumental settings. “Rivellon” is one such track, opening with an arpeggiated guitar playing alongside a peaceful flute melody (which soon gives way to an oboe and a violin). “Welcome to Fort Joy” uses the guitar not just as accompaniment, but as a lead instrument, playing a lyrical melody that’s somewhere between peaceful and ill-boding. “Amber Ale” is a warmer version of the Fort Joy melody, with up-close and personal guitar, light percussion, and woodwinds (and an accordion towards the end that somehow seems to fit). This is another one of my favorites on the score – I tend to get tired of tavern themes in RPGs fairly quickly, but this is a good one. “Quirky Bones” uses a series of plucked strings and pitched percussion in a more playful track. “Red Prince Theme” is one of the most successful tracks that follow this pattern. It combines several solo instruments from across the album, and brings multiple melody lines together with some excellent counterpoint. At parts it sounds almost like a round, but the melody lines aren’t quite the same; rather, they’re complementary. About halfway through, the instruments begin playing together – a variation of one of the melodies we’ve been hearing, in a different mode. Towards the end, the instruments focus on the chord progression rather than the melody itself. The piece ends how it began, with a single woodwind playing one of the melodies, but it’s left in a different key. Other tracks play up the fantasy part of the game – “A Single Drop of Magic” uses piano, guitar, oud, and tambura for a mystical effect. The piece focuses on repeated melody lines and arpeggios, keeping a steady pace from beginning to end. Even when the melody line pauses, a constant bass line keeps the pulse going. “A Tear in the Veil” also uses piano, starting innocuously, but this time it’s joined by woodwinds and what eventually becomes a full string section as it blossoms into a much larger piece. In some ways, it stands out on the album, since it doesn’t quite follow the same style melodically as the other tracks. But, although it leans more towards the ethereal than the rustic, Slavov uses a lot of the same instrumentation from other tracks on the album – so while it stands out, it doesn’t feel alien. 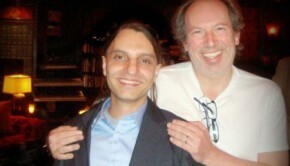 “Sing for Me (Lohse’s Theme – Bobby’s Version)” and “Divine’s Lament (Bonus Song)” are the two vocal tracks on the album. The bonus track does not come on the vinyl version of the album (it is on the iTunes, Amazon, and Steam releases), but in my opinion is the stronger of the two tracks. The melodies of the two tracks are very similar – “Divine’s Lament” is a little more polished and follows a more traditional song structure. “Sing for Me” is a little rougher, and I don’t feel as though the melody ever develops quite as much as it could. It does have a hauntingly beautiful C section, and both are worthy additions to the soundtrack. One neat feature of the soundtrack that I’ve seen multiple game reviews point out is the variation of some of the themes that change depending on instruments the players can choose for their character at the beginning of the game – for that, we have two tracks “Path of the Godwoken” and “Dancing with the Source” that have multiple iterations on the album, one for each version. Each track uses a different instrument – cello, tambura, bansuri, and oud. Even without having played the game, I had a fun time jumping between the different versions to see how the instruments were used – like the “Sins and Gods” tracks, Slavov did not just replace the instrument; the solo lines are re-written to retain the melody but best suit the style of the respective instrument. Divinity: Original Sin II is one of those scores that you don’t just enjoy, but you feel as though the composer enjoyed writing it, too. There’s a playfulness with so many of the tracks – the way that Slavov toys with instrumentation, with melody lines, is downright fun to listen to – it’s evident even on the more serious tracks. Fans of the Divinity series and other melodic fantasy scores (Dragon Age, Endless Legend) will find a lot to love in this one. Posted on November 14, 2018 by Emily McMillan. Last modified on November 15, 2018.